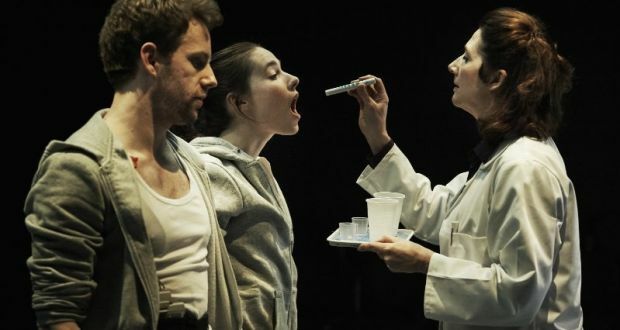 Director Lynne Parker revisits her late uncle Stewart Parker’s 1984 script again, with a Brechtian touch, and the result is a theatrical tour de force. Lynne Parker has spoken of adopting a Brechtian approach by having McCracken identified by his jacket, so Mallon can hand it over to other actors and sit back and observe himself in his own flashbacks; played by Ali White with gusto in the Boucicault flashback and with comic disbelief in the O’Casey flashback. This combined with Zia Holly’s design, confronting the audience with the wings of a theatre as the playing space, amps up the theatricality of Stewart Parker’s script, which was already reminiscent of Stoppard’s Travesties in its dialogue with and pitch-perfect parodies of older works. Rory Nolan is hilarious as a dodgy Defender played in the style of O’Casey’s Paycock, and as harp enthusiast Edward Bunting played as Algernon Moncrieff’s ancestor, in Stewart Parker’s two most acute ventriloquisms. But all these capers occur underneath an ever-present literal noose. Mallon and McCurry scenes in McCracken’s long night of the soul are the emotional glue that binds together the fantastical flashbacks, and they are affecting as she tries to convince him that his sister’s plan to escape to America under false papers is a reprieve not banishment. The flashbacks become more contemplative after the interval with Darragh Kelly’s loyalist labourer challenging McCracken over his failure to rally Protestants to the United Irishmen’s standard, and a prison flashback revealing the desperation of McCracken’s situation. Richard Clements, Eleanor Methven, and Robbie O’Connor complete the ensemble, deftly portraying a dizzying array of characters in McCracken’s remembrances. Mallon is wonderfully melancholic during Parker’s most overtly state of the nation moments, and remarkably, even with the Troubles’ paramilitary iconography at work, a 1984 play about 1798 sounds like it’s addressing 1916 at a theatrical remove. 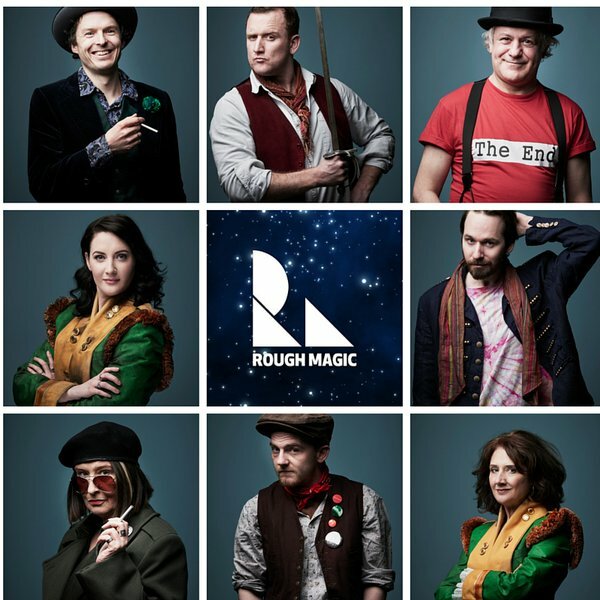 Rough Magic’s 2012 Travesties occasionally lost the audience with its intellectual bravura, but Lynne Parker through theatrical panache has indeed ‘liberated’ this equally clever meditation on history and culture. Northern Star continues its run at the Project Arts Centre until the 7th of May.